Can Herbal Weight Loss Help You Lose Weight Fast and Effectively? T he big question is: Can you really lose weight following a herbal weight loss diet? There are many herbal fat loss products on the market, some are very good and many are not effective and a total waste of your time and money. When attempting to use any type of diet or health related products you really have to understand the health benefits as well as the side effects that can occur. 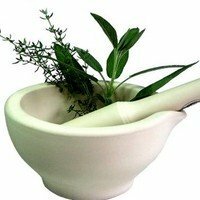 For herbal diet products I can assure you that the side effects can be very serious, and there are no proven facts that herbal supplements work. The problem that many have noted while using herbs is they make you very active. Another problem with herbs are the fact that they are not FDA approved, so anyone can claim they are a herbalist and start selling herbs that they have put together. Important tip: There are no magic pills when it comes to weight loss, and I would caution the use of herbal products. Overuse can have some serious side effects. You should consult your physician before starting any weight loss program. I am a firm believer in doing what works, and staying away from the hype. Do what works, add a little exercise eat healthy meals and you will improve your own health and shed a couple pounds the safe way. Please watch the video below. Helps you find diet and fitness programs that work for you and make sense for your body, personality, and lifestyle. If you want to be able to choose the foods you eat and strip the fat while you customize thousands of different meal plans. Isn't it time you learn how to loose weight and keep it off, this is caused becuase of the muslce loss. For information on how to finally lose weight and keep the muscles.